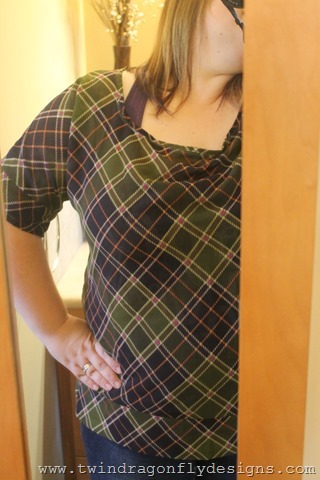 Seafarer Top from Abby at Sew Much Ado. It was so much fun to create something for me. 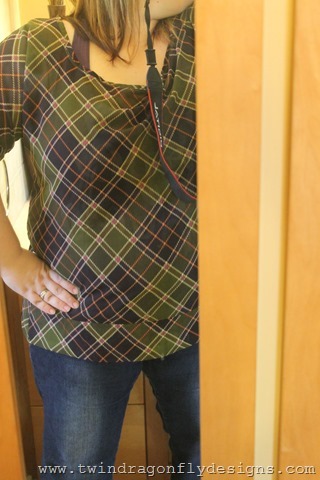 And I love this top! The pattern had so many options to customize the neckline, sleeves, waistline and even a pocket. It was really easy to follow and cut out too. The band at the bottom is my favorite part. 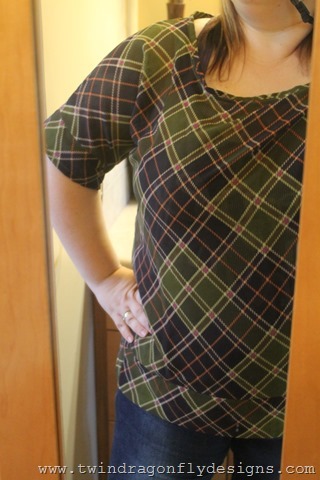 Stop by Sew Much Ado for a round up of all of the lovely tester tops that have been made. I really need to teach my family how to use my DSLR *wink*. Until then the mirror in our bathroom will have to do.